The Right Choice: FactOne Has the Track Record to Give Your Business Potential for Growth. We’ve Been Setting the Standards for 30 Years! The senior executives at FactOne Capital have been involved in setting the standards for professionalism in our field for more than three decades. 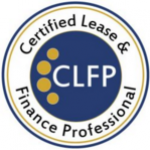 Feel free to examine the story behind the Certified Lease & Finance Professional (CLFP) designation, the preeminent credential recognized worldwide for identifying those professionals with the highest ethical standards in finance. Did we mention that certification requires passing an 8-hour hand written essay exam? We take being the best seriously. Our Team Has A Strong Track Record! Our team of experts have provided equipment financing for lots of smart business owners just like you. Whether you’ve been turned down for financing before or are just looking to shop for the best pricing, we are your best resource. We like the way a small town bank feels. You’ll talk with the same person throughout your partnership with us and you won’t have to deal with lengthy application procedures or approval processes. When you call – you won’t hear a menu prompt – you’ll hear a greeting from one of our team members who will remember who you are and call you by name. The most brilliant executive team in the equipment finance industry resides here. With over thirty years of finance experience, we are leaders in the industry, providing effective solutions for your business every day. We have a great team, collectively with more than 60 years of expert experience. While we’ve been in business we have developed several strong relationships and partnerships. Those relationships allow us to build custom financing solutions that are perfect for your company. Our expert team can meet all your needs and surpass all your expectations.